Here at advansys we provide multi channel eCommerce solutions to businesses looking to take the next step in the digital market space. By offering diverse eCommerce solutions specifically tailored to the individual needs of your business, we have been able to help clients find a platform that provides products not just via your eCommerce website, but by various other retail channels, such as eBay and Amazon too. Below are a collection of successful eCommerce projects completed by the team at advansys. 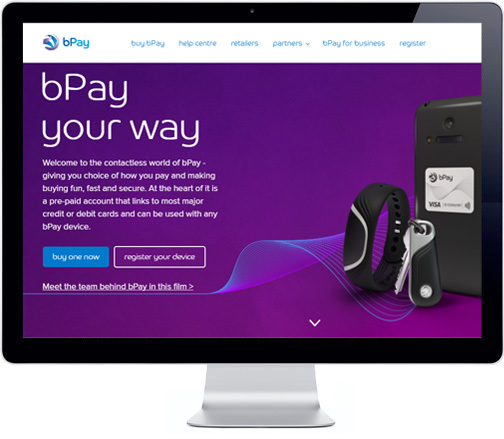 bPay is reinventing the future of how we pay for our everyday items. We're all busy, and few of us have the time to make sure that we have enough cash on us for our everyday essentials. More and more of us are choosing to pay with contactless card thanks to the speed and reliability it offers, but bPay takes us one step further. Despite the high-quality of their products, bPay's online storefront was failing to convert visitors into customers. The major goal of the storefront development project was to improve online sales by making it a simpler process. As the main website continues to offer great information, it was the eCommerce shop that was in desperate need of our eCommerce expertises. Laltex is an international, multidivisional company sourcing, supplying and distributing a wide range of consumer goods to both to the retail and wholesale markets. From clothing to stationary and electrical equipment, the Laltex' cross-divisional range is extensive and comprehensive. Over their 50 years of trading the business has built up an enviable list of loyal trade clients across multiple industries. The challenge was sourcing a website solution to take them to the next level that would not only cater for each division's individual eCommerce needs, but would offer as seamless a migration as possible to Laltex' valued customers - especially for stuck in 'traditional' ordering methods of telephone or order form. Eurocell is the UK's leading manufacturer, distributor and recycler of uPVC. 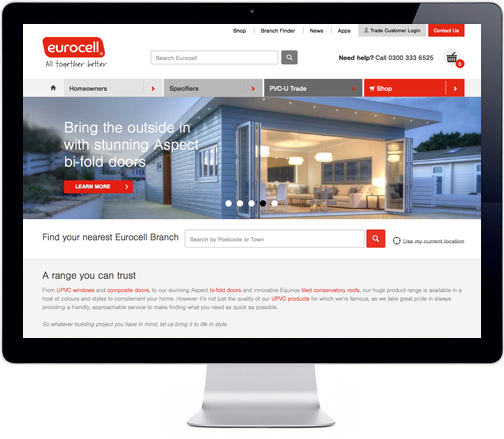 Established in 1974, Eurocell has grown into one of the major developers of uPVC products across the world, catering to an international audience as well as within the UK. Thanks to Advansys' Razor platform, they are able to operate in a completely comprehensive manner. Their website is a combination of a corporate brochure, whilst also offering B2C eCommerce capabilities. Along with this, Eurocell also offer a trade customer login, allowing them to deal directly with B2B companies. Wurth are a market leading company in the trade of assembly and fastening materials. After initially starting as a family run company in 1945, Wurth now possess 5-6% of the overall market share and operates in 84 countries, with 3 million customers worldwide. This international corporation is recognised across the world and they specialise in providing a range of products; from screws and screw accessories to power tools and personal protection equipment. Wurth approached Advansys with a request for a B2B trade portal, which enables users to quickly and easily place bulk orders, including repeat orders. 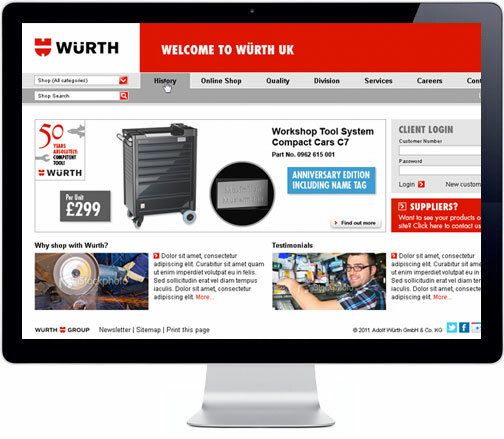 Working with Advansys allowed Wurth to take advantage of their expertise in online B2B ecommerce platforms. 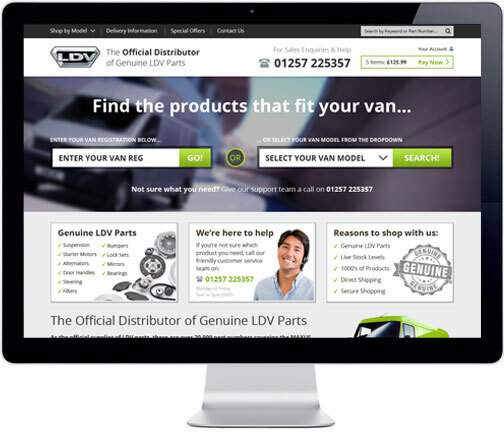 LDV Parts Direct is the official distributor of Genuine LDV parts. Advansys has designed and developed a fully responsive ecommerce solution which has been seamlessly integrated with the companies current internal systems, allowing them to easily manage online orders with the same process as offline sales. The website has been carefully designed to allow users to search for and find parts for their vehicle by either vehicle registration or make/model. This means customers can easily find the specific component they need. Being fully responsive means that customers can conveniently use the website from desktop computers, as well as their mobile phones whilst on the move. 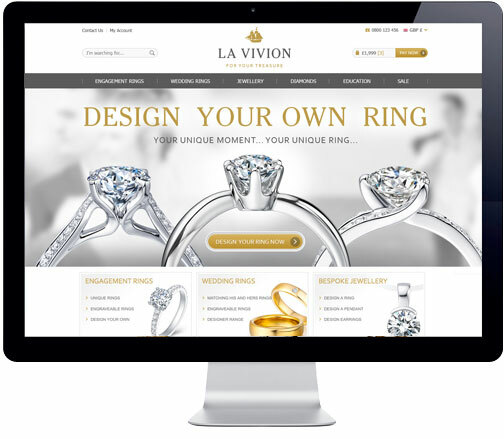 La Vivion are an online jewellery company who specialise in selling bespoke diamond rings for weddings, engagements and other special occasions. Advansys created the company name, logo and ecommerce website, which includes a bespoke ring and jewellery builder. 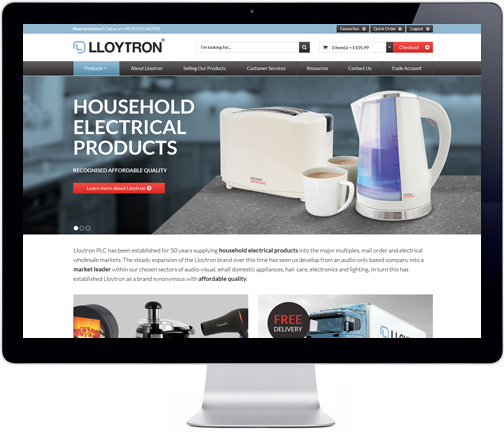 La Vivion approached Advansys with the aim to design and build a brand new website to target a European audience. The included a eCommerce Management system, allowing the business to manage their website content, orders, products, customer data and stock levels. To build the site authority and improve their rankings on search engines such as Google, Advansys also conducted a Search Engine Optimisation (SEO) campaign. Source Wood floors provide the highest quality solid wood flooring. 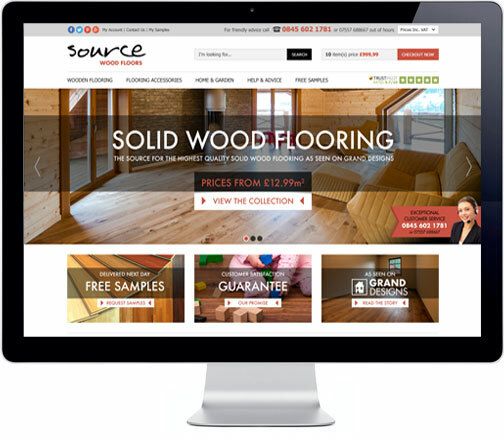 Advansys designed and developed a fully responsive ecommerce website for the business, that allow its customers to work out the quantity of wood required to cover a floor, and easily order samples. A bold striking eCommerce website was designed for the company that includes bespoke functionality to increase conversion rates such as volume discounts on products, a price calculator based on the size of a room, easy sample ordering and integration with TrustPilot. 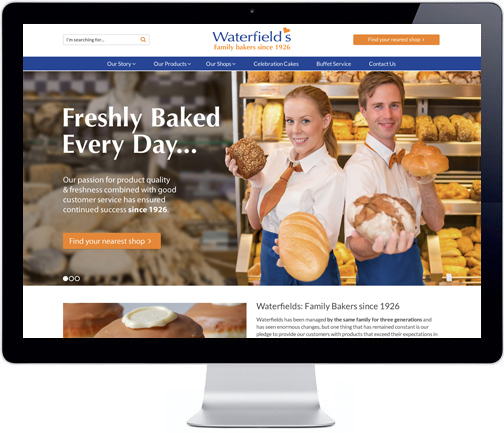 Waterfields Bakers is an established family bakery that puts high-quality service and fantastic products above everything else. They are proud of their history, and are committed to their craft; creating cakes for all special occasions alongside handmade sandwiches, pastries and treats for everyday consumption. Waterfields chose to work with Advansys, as they saw the potential in a partnership to bring Waterfields online presence into the new era. With the desired technical expertise clearly apparent, along with a full understanding of the brand identity and its core values, Waterfields and Advansys began their partnership.